In this book, you will learn the 2 powerful, mind-blowing methods (REIN and a Shortcut) that cut directly to the heart of the problem. These methods discharge your disruptive, negative energy-field complex, demolishing the barrier to bring you back into balance and equilibrium. 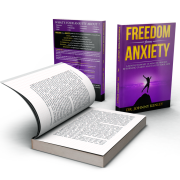 These two methods, explicitly described within this book, allow you to wipe out your worry and anxiety with such great ease, it will feel almost magical. You will know what being worry free feels like. And the good news is, you are going to do this by yourself—and swiftly. You can and will be inspired by the thousands who have successfully used these methods. 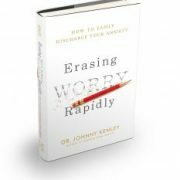 In Erasing Worry Rapidly you can read about the many varied long-standing worries, of people like you and me, that have been erased quickly as told in theirmini-miracle stories.